TEL AVIV — Moshe Feiglin, chairman of the Zehut Party, vowed in an interview with Breitbart Jerusalem that if he enters the Knesset he will work to end unnecessary bureaucracy and lower the cost of living for Israelis. Feiglin discussed his plans to address the longstanding housing crisis that has been plaguing Israelis, a scenario in which construction here is hampered by a massive amount of bureaucracy and the average cost of an apartment makes purchasing a home difficult for a large segment of the population. In some areas, bureaucratic holdups have contributed to housing shortages. We realize that the basic fundamental problem of the housing crisis in Israel is the fact that the land belongs to the state and not to the people. In all of the free world, most of the land for housing, for building belongs to private people and there is a market and therefore there is a real price for the land. In Israel, it is like a mafia – the Israel Land Authority – that holds all the land and creates prices to the land that are ridiculous. Over fifty percent of the price of every apartment in Israel is the cost of the land. Add to that the second problem is the crazy, crazy bureaucracy created around obtaining the permit to build a home. The average time from the time that you leased until the time that you get the permit to build, the average time is eight years. Sometimes it can take twenty to twenty-five years. It is totally crazy. I’m sure Americans think it sounds crazy but it is actually happening. That is the way it works in Israel. They are doing everything they can in order to give you more and more problems on the way to build a house in Israel. On the way you also have some issues of bribery and dirty swamps that are getting bigger and bigger. Approval processes for construction will be significantly reduced and simplified and many regulatory restrictions will be canceled or moved to a more local level (local authority level or community level). Regulatory bodies will be eliminated or reduced accordingly. This will make the construction process easier, faster and more profitable, for construction developers and for the benefit of the public. Feiglin also advocates an end to obstacles for Israelis to build homes in Judea and Samaria. Besides bureaucratic issues, Feiglin says the housing industry has been plagued by corruption that needs to be stamped out. “There are wide circles of people who are connected to the system who are making a very good parnasa (Hebrew word for a living) from all of that,” he said. Prime Minister Benjamin Netanyahu finds himself facing a tight race against challenger Benny Gantz, a former chief of the Israel Defense Forces. The next occupant of the prime minister’s office could be decided by the size of the smaller parties on the right or left endorsing either a Netanyahu or Gantz coalition. 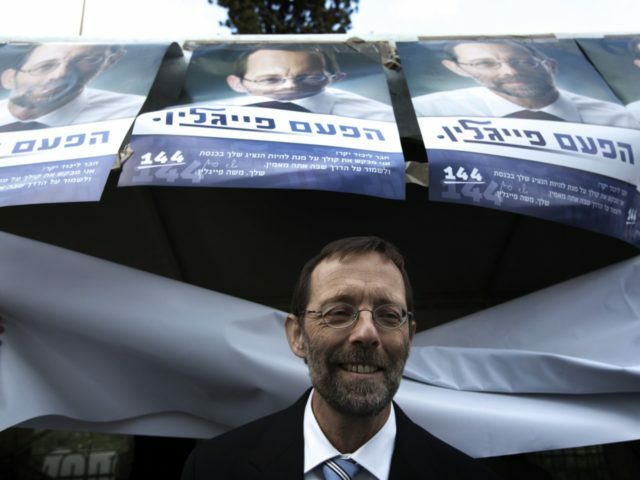 Feiglin’s decidedly anti-establishment Zehut party is currently projected to cross the electoral threshold and garner at least four Knesset seats.